National Basketball Association fans can now join college football fans in putting their game faces on their profile pictures. 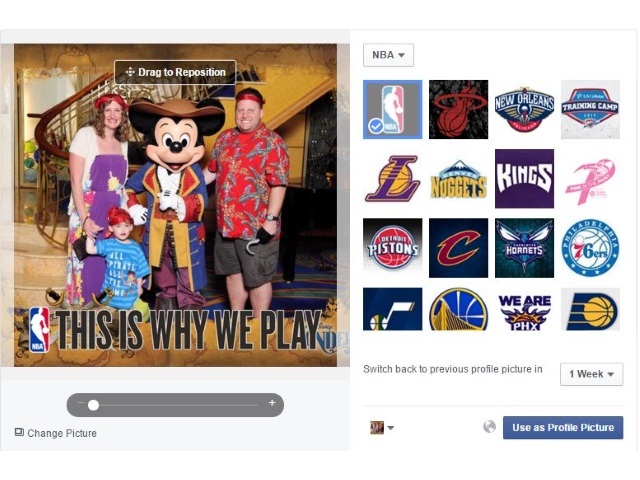 With the NBA season set to tip off Tuesday, fans of the league’s 30 clubs can create temporary profile pictures, adding custom photo frames to their current profile pictures. Facebook users who enable this feature can also specify when they want their temporary profile pictures to revert to their current profile pictures. NBA fans: Are you ready for tipoff?